Keeping paintwork in good condition is an on-going battle against the elements. Assisting in this fight is the new generation of crystal lacquers and glass coatings which are becoming increasingly popular with professional detailers and enthusiasts alike. 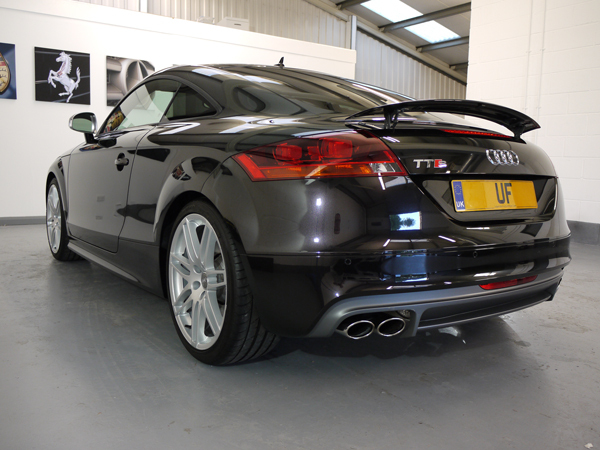 This week an Audi TTS ‘Black Edition’ arrived at the Ultimate Detailing Studio for a Gloss Enhancement Treatment and a full refurbishment of the wheels. 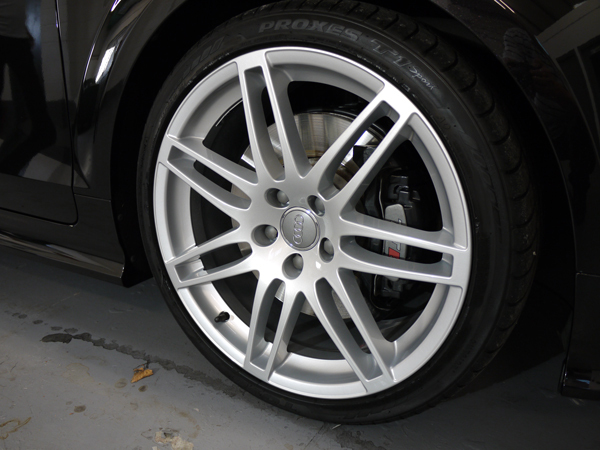 At the time of purchase the customer chose the anthracite wheel option, but after living with them for a while decided to return the wheels to the original and lighter Audi silver colour. The Ultimate Detailing Studio now offers an exclusive and bespoke wheel refurbishment service carried out by tried and tested craftsmen; a world away from the often seen and poorly executed so called ‘smart repairs’! The entire wheel is completely stripped back to bare metal using a chemical stripper, which is then gently bead blasted to etch the surface. This allows for proper cleaning of the wheel before it is pre-machined to remove any stubborn corrosion, contaminants or kerb damage. 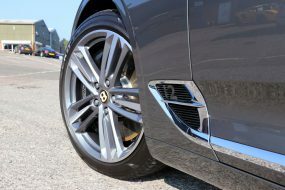 Any extensive kerb damage is welded and machined down to a perfect finish before the wheel is placed in a high temperature oven, powder coat primed and the colour of choice applied. Finally the process is completed by applying a high quality clear coat lacquer. Whilst the wheels came off and went through the wheel refurbishment process, our Master Detailer got busy with the rest of the car. 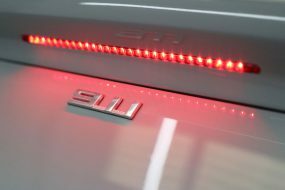 After a pre-wash using Ultimate Snow Foam to remove the larger particles of dirt, the TTS was washed with a pH-neutral shampoo and rinsed using an Aqua Gleam de-ionising water filter. Clean and dry, the car was then clayed to remove any bonded contaminants. The thickness of the paint was then measured using a paint depth gauge before being machine polished using SCHOLL Concepts S17+ and the SCHOLL Concepts Orange Polishing Pad to remove swirls and light scratches. 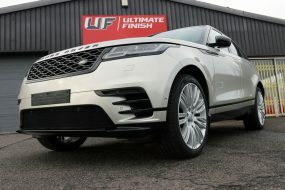 On this occasion the customer requested we source and use 22PLE VX1 Pro Signature Glass Coat as a final finish to his freshly enhanced paintwork. New to the UK, 22PLE is a next generation paint protective glass coat sealant (made of glass, not for glass!!). 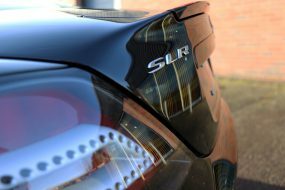 Glass coat sealants are highly scratch resistant, super hydrophobic surface coatings which form a durable bond with the paintwork. 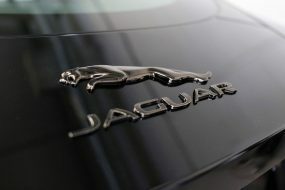 Whereas traditional polymer-based sealants offered by many car dealerships promise much and deliver little, glass coat sealants are ultra hard wearing and provide superior resistance to normal wash processes. 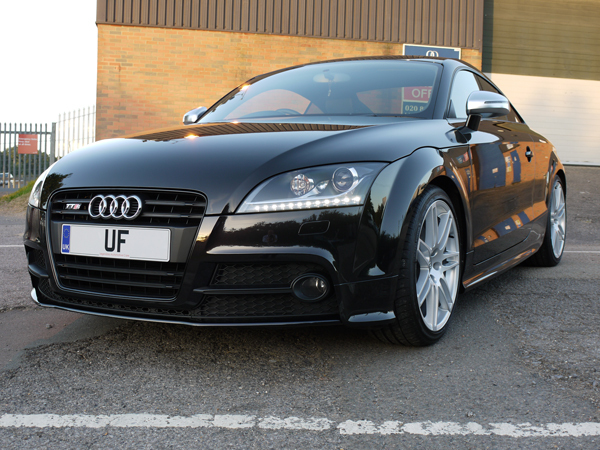 The results speak for themselves and with the newly refurbished and silver coloured wheels back in place, the customer was extremely happy to see his TTS Black Edition!